Unknown by many, nursing is a highly physical job. To others, especially those belonging outside the healthcare profession, nursing only involves administering medications, checking charts, carrying out doctors’ orders and the like. However, that is not always the case. A lot of lifting and other physical tasks are involved in providing nursing care. That is why, it is not uncommon for nurses to collapse in bed after a whole day of clinical duty and complain about how much their back hurt. In our aim of assisting our patients towards recovery, sometimes we get ourselves injured in the process. In fact, according to the American Nurses Association fact sheet, Registered Nurses ranked fifth among occupations most at risk for strains and sprains – higher than stock handlers and construction workers. 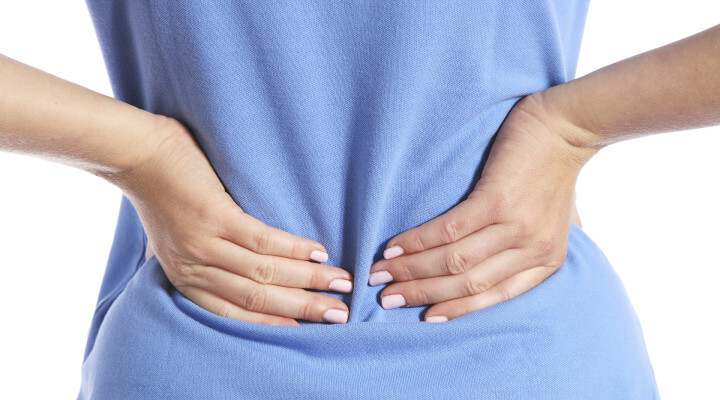 Most back injuries are the result of lifting, pushing, and pulling over a long period of time. However, if we are careful, there are ways that we can take for us to avoid those injuries specifically back injuries, which are the most common, in providing nursing care to our patients. What are those, let’s find out. Remember those times in nursing school when we rolled our eyes whenever our Clinical Instructors stressed out the importance of using proper body mechanics when performing nursing interventions? Well, turns out they’re right. They do have their benefits. Rick Kassler, MSPT, OCS, supervisor at the Orthopedic and Sports Therapy Center at the New York University Hospital for Joint Diseases, adds nurses should keep the objects or patients they’re lifting as close to their midsections (centers of gravity) as possible. He also stressed the importance of maintaining the back in a neutral position that preserves its natural curves. Not just for the sake of looking healthy but for you to actually be healthy. Richard H. Haglen, MSPT, CSCS, a Boca Raton, Florida, physical therapist said that nurses who maintain muscle strength, flexibility and normal weight are less likely to get hurt. Furthermore, exercise can help you minimize stress on your back. You can try getting at least 150 minutes of moderate aerobic activity a week or 75 minutes a week of vigorous aerobic activity (on non-consecutive days) and before that be sure to warm-up for 5-10 minutes. Include strength training exercise for all body parts two to three times a week. You should also not forget to stretch for 10 minutes after the activity. Kassler also stressed out the importance of wearing good shoes as prolonged standing and walking on hard floors puts stress on the back. In this regard, comfortable shoes that are good shock absorbers can help. According to research, stressed workers are much more likely to become injured and us, nurses, are frequently exposed to stressful situations. It is unavoidable, but there is one way we can deal with it – that is to experiment with different coping techniques. Practice deep breathing, resting in a quiet place, using guided imagery, going for a short walk, listening to relaxing music, or doing stretching/yoga moves. Assess your body as well as your situation. Note any discomfort or pain so that you are aware of it next time you are asked to perform a task requiring your back to work.Ask yourself if there are hazards you can minimize and resources you can use. If needed, you can also consider using lift equipment or asking someone to assist you with your task. This entry was posted in Fundamentals of Nursing and tagged back injuries, preventing back injuries nursing. Bookmark the permalink.